Click here for information on Grants, including the new Completion Grant. Paying for college can be a big challenge. Many people don't realize that they qualify for Financial Aid benefits, so we recommend that everyone apply: Fill out the Free Application for Federal Student Aid (FAFSA) to start. Tip: The FAFSA asks about 100 questions and can take about 30 minutes to fill out. If you gather all of the documents you need ahead of time, it will be much easier and faster to complete. Need help? 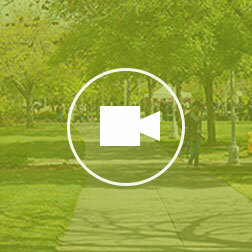 Watch this video on completing the FAFSA. Selected for FAFSA verification? Learn more about the process. Find out if your first year of tuition could be free! State and Federal Grants, unlike a loan, do not have to be paid back. Fill out a FAFSA to see if you qualify for either the California Grant (Cal Grant) or Federal Grants (Pell Grants). The Pell Grants amounts are determined on your FAFSA results, your school's cost of attendance, and your status as a full-time or part-time student. The Cal Grant has two deadlines: March 2nd and September 2nd. Fill out a FAFSA, then submit your GPA electronically. Undocumented students can also apply by first completing the California Dream Act Application online by March 2nd. Learn more about how to apply for a Cal Grant. Sierra College offers a large number of Scholarships and Awards for students from all walks of life and circumstances. The categories and eligibility requirements are widely varied; not just for financial need or academic performance. Fill out the 2019-20 Scholarship Application and you will be automatically matched to all of the scholarships for which you are eligible. The deadline to submit an application is March 2, 2019. Eligible students can find part-time, on-campus employment through the Sierra College Work Study Program. If you’ve completed the current academic year’s FAFSA, contact the Financial Aid Office to add your name to the Federal Work-study waitlist. Have a job ready in case you are chosen from the list. TANF/CalWORKS Students may also be eligible for the CalWORKS Work-Study Program. Learn More about CalWORKS Work Study. Financial Aid can also help you get on-campus jobs. You can find an on-campus or off-campus job through Career Connections. Borrow money at a student rate to help you pay for college and college-related expenses. Do your research: find out the different interest-rates, true costs, and duration of loans available to you. What Kind of Student Loans are There? The majority of Sierra College students are eligible for the California College Promise Grant Fee Waiver (CCPG), formerly known as the BOG Fee Waiver. It is available to California residents and eligible non-residents (AB540 students) who meet specific income eligibility requirements. The program waives the Enrollment Fee and reduces the Parking Permit Fee. The Health Fee is also waived for students who qualify under Method A. This fee waiver will be in effect for the academic year (fall, spring, and summer). There are no minimum or maximum unit requirements. What is the CCPG Fee Waiver?